Over 20 years ago, we saw the gap in the foster care system, where children were getting lost or pushed aside simply because there weren’t enough resources for them all. We made the decision to offer a solution that would give these kids their best chances at finding loving homes where they feel they belong. We understand that no two children or two families are alike, and we believe that their family care services shouldn’t be identical either. Our knowledgeable and professional case management team gives every case the individual attention and specialized service that it deserves. We are passionate about making real, positive changes in Pennsylvanian communities. We have had huge success with our approach, which marries Choice Theory and Reality Therapy. This approach allows us to understand human behavior, reactions, and personalities on an entirely new level. Choice Theory assesses a person in an understanding, non-judgemental way, and Reality Therapy uses the information from this assessment to create real, tangible solutions to the problems being faced. All of our case managers have bachelor’s or graduate degrees and have been trained in both Choice Theory and Reality Therapy. They are a dedicated group of professionals who want to make a real difference. Teresa Storer has been working in the child welfare and mental health fields since 1983, and she has served as FCCY’s Executive Director since the organization’s inception in 1994. She is a licensed social worker and has a Master’s Degree in Social Work from Maryland University. She is certified to teach Choice Theory/Reality Therapy, and she has trained resource/foster parents, agency staff members, and public children and youth workers throughout Pennsylvania on an array of topics. She has also served on the Pennsylvania Council of Children, Youth and Family Services (PCCYFS) Board of Directors. Teresa a mother of one and has demonstrated a lifetime’s worth of work in the social work field, specifically while working with foster/adoptive children, veterans, and others in need throughout her community. Ashley Copeman has worked for our adoption and foster care agency for over nine years. During that time, she has worked as a case manager and a program office supervisor, and she is currently the director of our adoption services. Ashley has worked with over 100 children of all ages to help them achieve permanency and success in their lives. She is certified in Choice Theory and Reality Therapy and has a Master’s Degree in Human Services. Melissa has worked with Family Care for Children & Youth for over a decade and has been head of the Unit since 2012. She oversees the recruitment process and works directly with families interested in becoming foster families. She also works directly with FCCY recruiters located throughout Pennsylvania. She and her husband have been foster parents themselves since 2006 and have provided care for eight children. Melissa also volunteers at her local fire department. 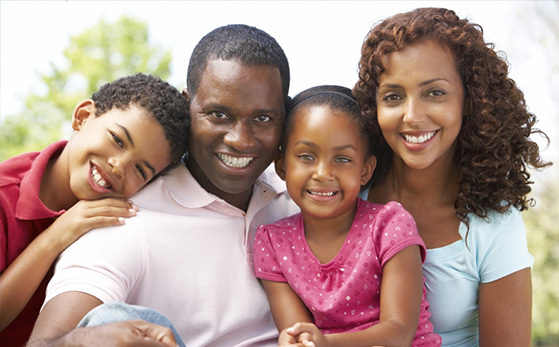 For more information about Family Care for Children & Youth, contact us today!